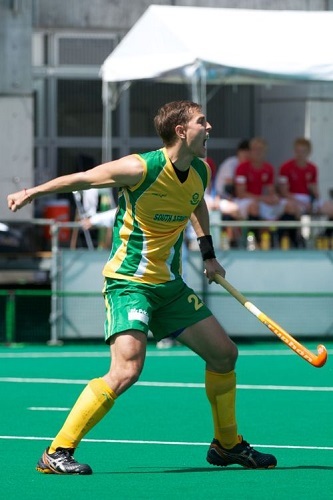 The FIH Hockey World Cup takes place in a little over 2 weeks and SA Hockey will be there from the Mens and Womens side. The Hockey World Cup will be well supported in South Africa as SuperSport have come on board and the South African fans will have more live televised fixtures than anywhere else in the World. Ahead of the 2014 World Cup our men and women are preparing in earnest for the greatest showpiece in World Hockey. Lets check in with everything that is going on. There is significantly one name that stands out in the above squad and that is the name of Justin Reid-Ross. Justin has not played for South Africa since the 2012 Olympics and welcoming him back means that our Penalty corner attack just got more lethal. Justin, Austin, Tim and Lloyd all featured in the Hockey India League and the experience will surely be a benefit to the whole team. The return of Lloyd Madsen is also huge as the level of calm in the back will be enhanced. On top of this the team also has two Varsity Cup stars in Dylan Swanepoel and Clinton Panther. The team has consistently battled with financial support and have had remarkable support by Mugg & Bean and Mr. Price Sport, but today came the big daddy news. SuperSport has come on board, yes more than just televising, by announcing they will be the event sponsor of the mens side. This means like the ladies are backed by Investec, the mens kit will be emblazoned with the iconic SuperSport logo. Marissa Langeni, CEO of the SA Hockey Association, said: “We are extremely pleased that SuperSport has decided to partner with SA Hockey in our efforts to get the SA men’s hockey team to the Rabobank Hockey World Cup‎. Further to sponsoring the team for this event SuperSport will also broadcast all the games to not only the hockey loving South African public but to a number of African countries as well. Make sure you show the boys your support by backing them on Twitter (@SA_Hockey) and catch every game live on SuperSport!